Each year, Festive unveils the design trends likely to dominate Christmas. Amongst the many tendencies defining the 2017 festivities, celebration of British culture is likely to astonish everybody. The traditional spirit of Christmas is associated with cheery elements of British society. At Festive, Britishness is depicted through a gleeful prism to allow a harmonious and merry incorporation into Christmas. Not only do we honour British society through elaborate Christmas Jubilation displays, we also put spotlight on Britain with our marvellous range of decorations inspired by national symbols. In addition to embodying British culture in its entirety and diversity, our ornaments, including hanging decorations, table tops, and room decorations can get anyone into a joyful mood. Our fabulous collection includes decorations ornamented with stylish patterns, such as tartan, and shaped into famous symbols, including Big Ben and the Welsh dragon. 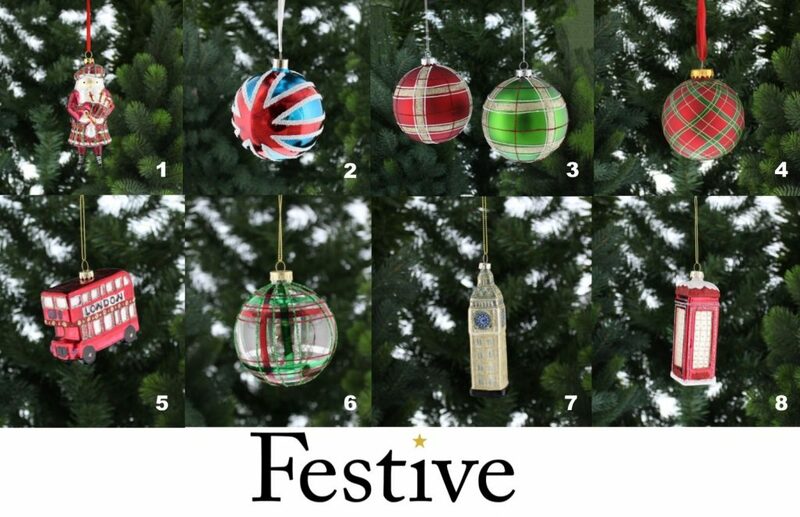 Hung on any Christmas tree, our British-inspired ornaments are perfect to bring an ounce of originality to any home. 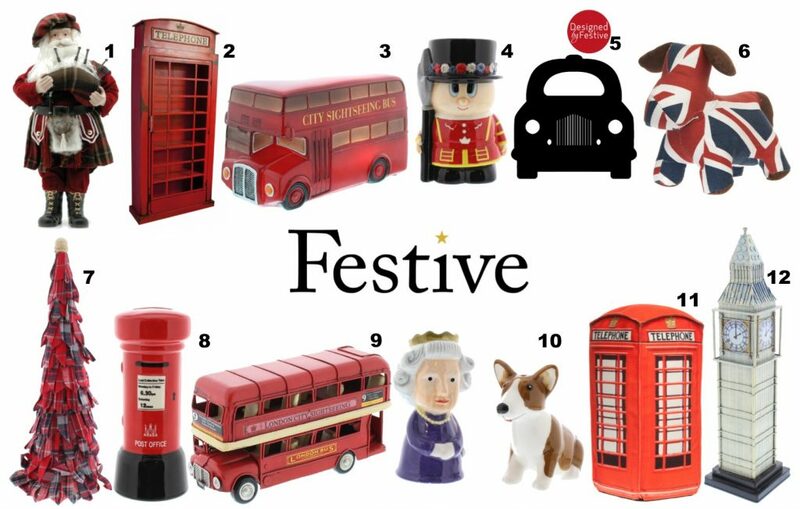 At Festive, key icons of British culture are made into modern and gleeful decorative items. Our table tops and room decorations can help anyone produce a merry replica of British society at home. Welcome to the Festive News where you can find all of the latest Festive goings on, how-to-guides and much more. 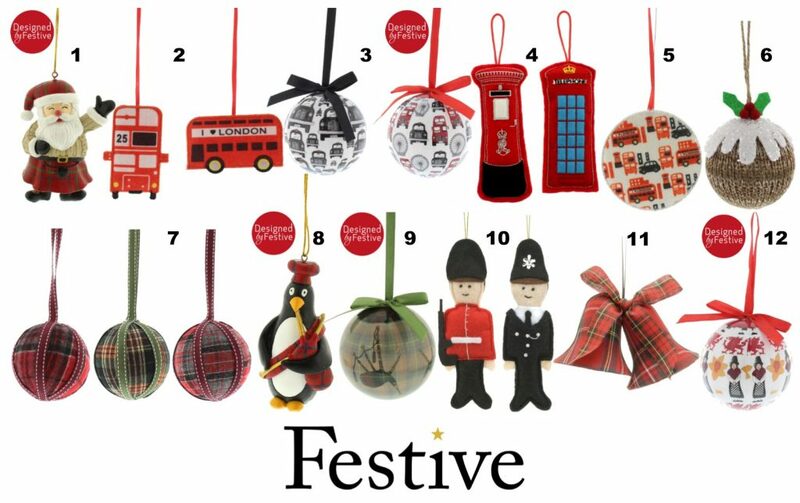 Find out more about Festive or view our Collections. Signup to the Festive newsletter to receive latest updates straight to your inbox. We won't pass your details on to any third parties and you can unsubscribe at any time. Festive Productions Ltd is a UK Based Seasonal Decoration Company. We embody over 30 years of design, innovation and experience within the seasonal decorative industry. For up to the minute information about Festive Productions Please sign up to our Mailing List. We're also on social media. Follow us for updates and useful information. Disclaimer | © 2019 Festive Productions. All rights reserved.